The time has come to explore and recognize the different forms of intelligences to help children achieve the most success. Understanding that success isn’t solely based on how good a child is in math or science means giving the chance to recognize their ability to be good at other things as well, eventually creating a generation that possess multiple intelligences. 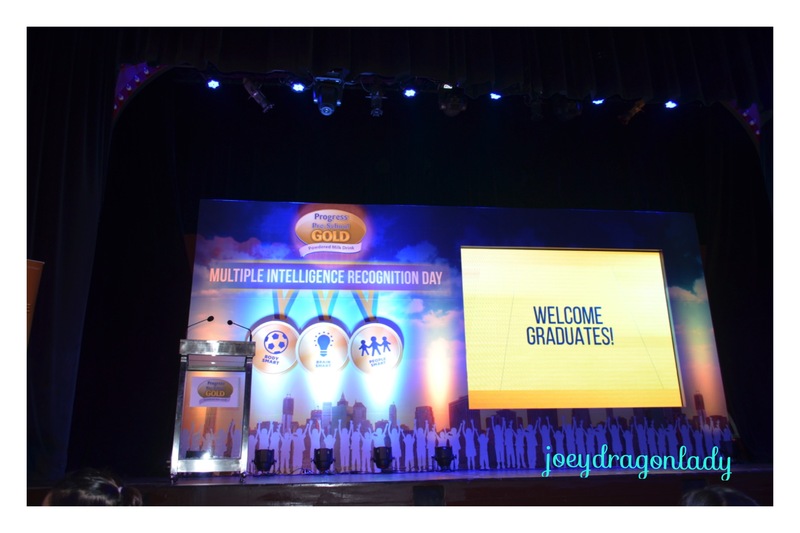 That is why when I got the invitation to attend Progress Pre-School GOLD`s Multiple Intelligence Recognition Day I did not hesitate. As a Mom I wanted to support this endeavor. 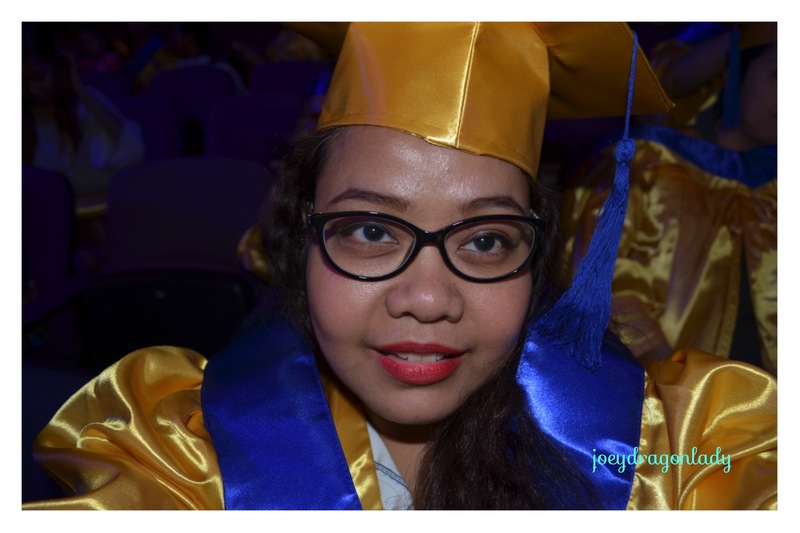 Off I went to RCBC Building in Makati to be part their Recognition Day. I was so excited that Tessa Prieto- Valez hosted the event. 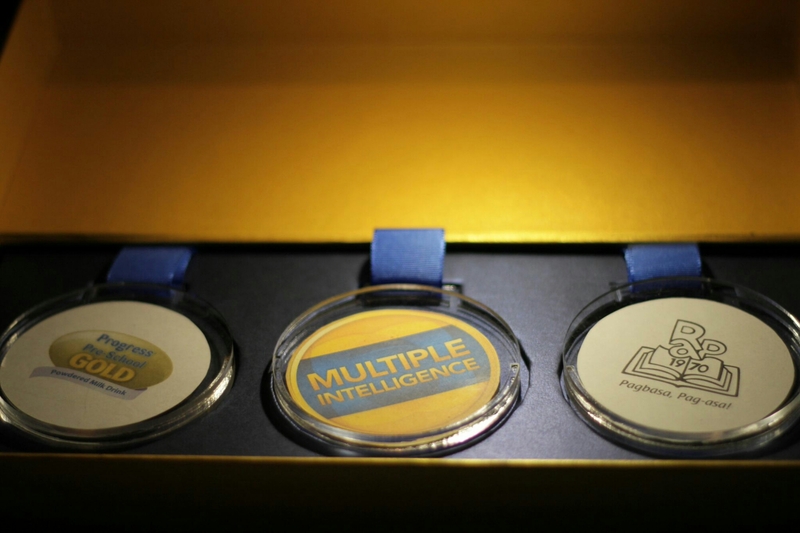 Leading with multiple intelligence. 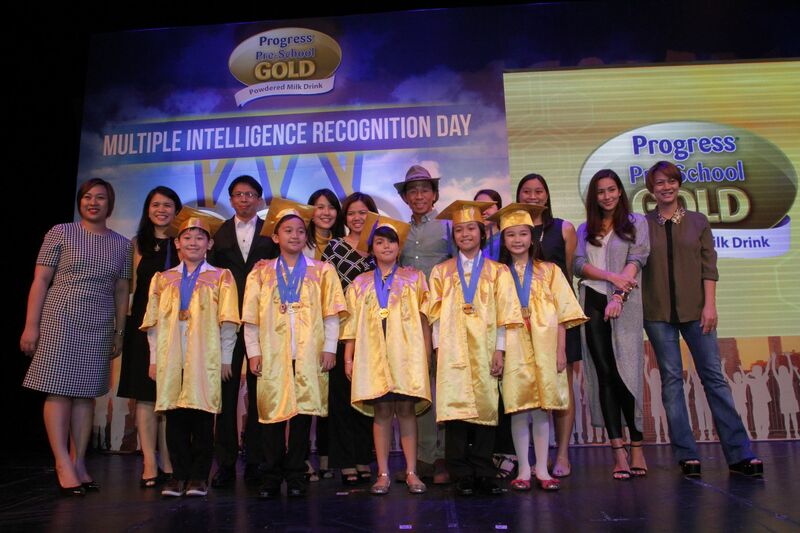 This edge is perhaps best exemplified by some of this country’s young multi-achievers who were recently recognized at Progress Pre-School GOLD’s Multiple Intelligence Recognition Day. Among them are Sofia Pablo, whose excellence in academics is complemented only by equally impressive achievements in dance and sports; Cedric Rafael Uson, whose potential for leadership and the arts are notable; Sean Clarence Cai, who consistently impresses others with his propensity for numbers and excellentinterpersonal skills at such a young age; Luis Raphael Danao, whose academic achievements are rivaled only by his passion and excellence in sports; and Ciara Russegger, whose athleticism and academic inclinations prove that a seamless integration of brain, body and people smart is possible with the right support. 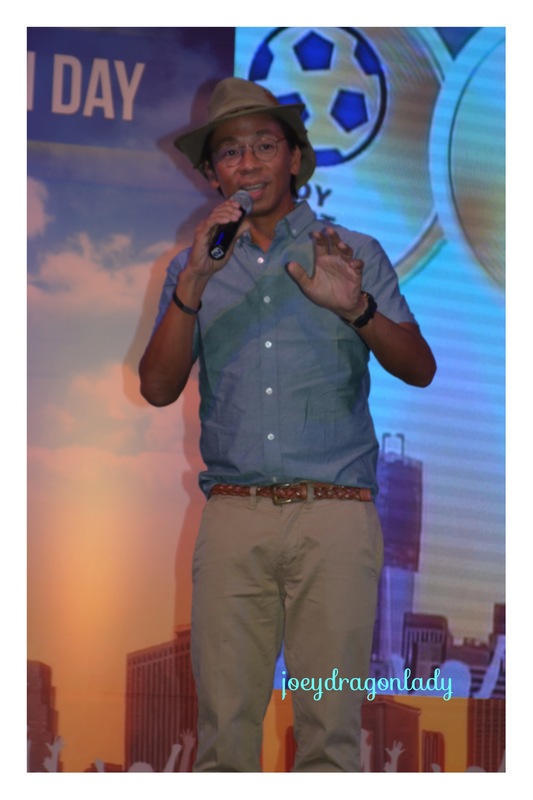 Kim Atienza, multi-achiever and Commencement speaker in the Multiple Intelligence Recognition Day, also expressed that his well-rounded character has been key in achieving success in life. “Multiple Intelligence has equipped me to confidently engage with the world and readily accept challenges with family, passions, and career,” says Atienza. Improving access to multiple intelligence Progress Pre-school GOLD’s multiple intelligence advocacy has the opportunity to transform development approaches simply by highlighting the fact that various facets of intelligence combine to create a balanced and successful child that can potentially change the world. As a means to further promote multiple intelligence, Wyeth is partnering with the Reading Association of the Philippines (RAP), a non-government organization committed to improve all aspects of the national reading programs and teaching procedures through teacher-training and research. RAP calls educators to embrace a comprehensive curriculum to promote students’ maximum participation for overall development. It educates school teachers using proven progressive methods to teach kids to learn to read and enhance comprehension — thus, facilitate a better learning environment to help students to progress into multi-achievers. 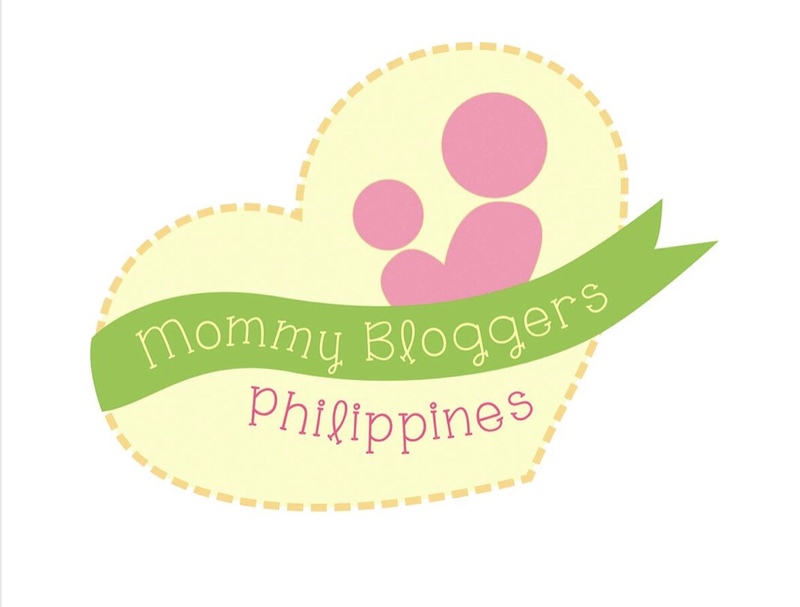 Moving up and choosing multiple intelligence Progress Pre-school GOLD encourages Filipino moms to move up to a more progressive approach to parenting as experts prove that young minds gain knowledge through play, direct experience and social interaction. 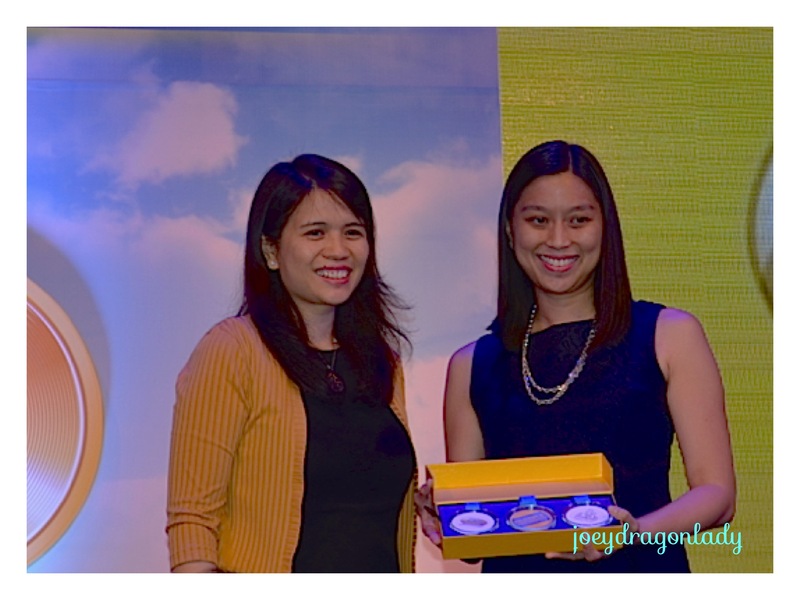 Of course this event would not have been complete without the Multiple Intelligence Mommy Champions Mikaella Lagdameo-Martinez and Jenni Epperson, they were recognize as being advocates of Multiple Intelligence. “As a parent, my challenge is to help my kids apply their knowledge to everyday life, not just by getting good grades but by being well-rounded individuals that are smart, creative and helpful,” says Jenni Epperson, Multiple Intelligence advocate. Activities have become open-ended and interdisciplinary and the more kids exposed to different fields and interests, the more they are able to perform better and beyond given measures. 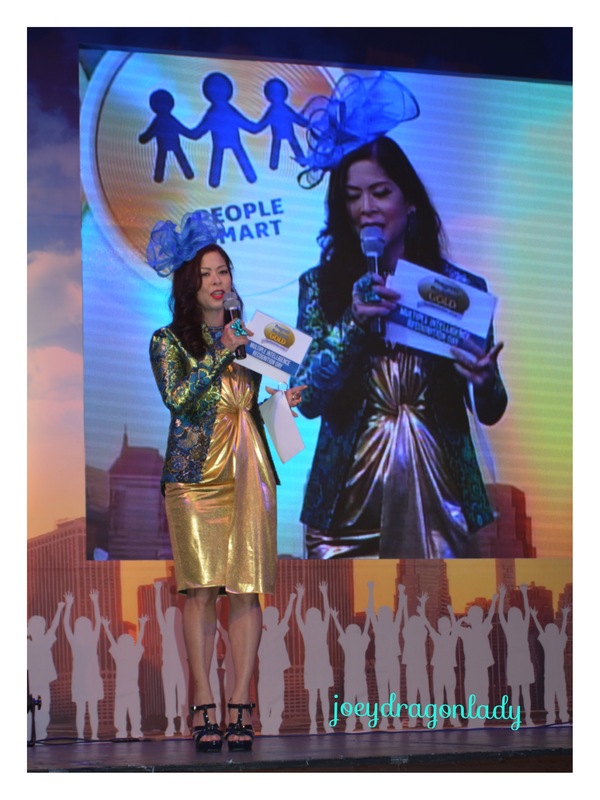 “With multiple intelligence, you don’t just go one step ahead, you go twice as far,”says Mikaela Lagdameo-Martinez, Multiple Intelligence advocate. Progressive moms have a partner in Progress Pre-School GOLD as they further support the development of their child’s multiple intelligence. Progress Pre-School GOLD is now with its best-ever GOLD Biofactors System with higher levels of DHA, Choline and Lutein to support a child’s multiple intelligence. 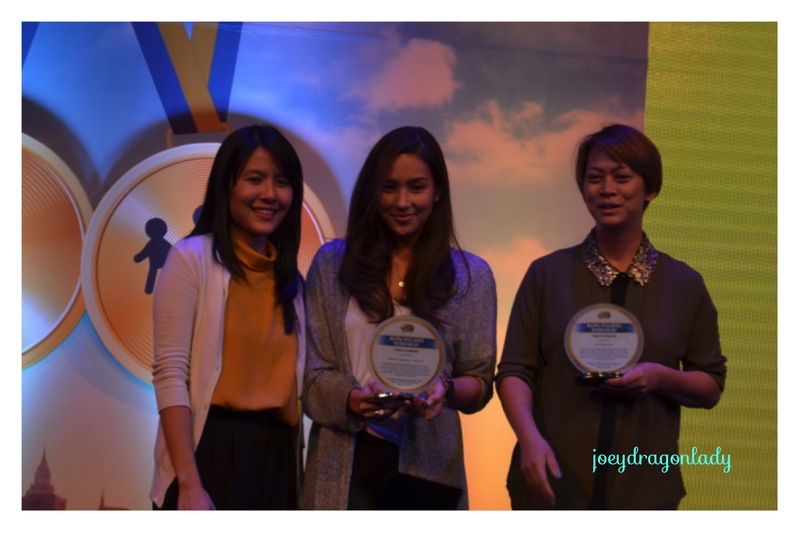 This Achievers’ Kit aims to encourage moms to reward the different achievements of their child. The rewards are focused on three main categories, namely: Brain Smart, Body Smart, and People Smart. This promotes recognition of not only intellectual intelligence, but also physical as well as social intelligence. This holistic development acknowledges more opportunities among this generation’s children to drive advancement for this country. My Jarod thought the entire outfit and medals were awesome. I will blog more about the Achiever`s Kit in a later post. My children are lucky that they live in the age where the totality of an individual, of a child is seen, not just the academic achievements. I will always seek to look at my beasties as individuals capable of whatever they dream possible.